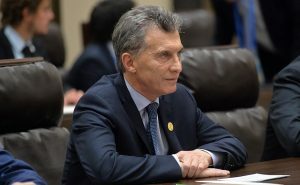 Argentina’s Restrictive Turn on Migration: Trump’s First Imitator in the Americas? Argentina’s history and national identity are inextricably linked to immigration. Indeed, between 1880 and 1930 the country was the world’s second largest recipient of migrants, behind only the US. The immigration policies of both nations were often aligned during the period. In 1902, for example, Argentina adopted a law facilitating the expulsion of foreigners amid concerns about labour movements and anarchists; in 1903 the US banned the naturalization of anarchists. After the US approved its 1917 Immigration Act, which excluded from entry numerous groups including epileptics, alcoholics, criminals, beggars, and those with a physical disability, Argentina quickly reacted with similar laws in 1919 and 1923, fearful that those denied permission to disembark in US ports would continue their journeys to Buenos Aires. Of course the days when those refused entry into the US would instead try their luck in Argentina are long gone. Whilst Argentina continues to be the largest recipient of migrants in South America, in the global context it’s no longer a significant destination country. Fewer than 5% of its population are foreign born according to official statistics – almost 90% of them from South America. Posted in Bristol ScholarsTagged American Convention on Human Rights, Argentina, Argentinian Constitution, Decree 70/2017, Diego Acosta Arcarazo, immigration discourse, international migration law, Leiza Brumat, MERCOSUR, Mercosur Residence Agreement, migrants, migration policy, refugees, think piece, Trump, UNASUR, US, vilification of migrantsLeave a Comment on Argentina’s Restrictive Turn on Migration: Trump’s First Imitator in the Americas?